What Will It Take for Corporate America to Embrace Eco-Friendly Paper Products? The historical animus between corporate America and the environmental movement is no secret. For more than a decade, their competing interests have led them to butting heads more often than not. Yet lately it seems as though corporate America has started to warm up to the green message as increasingly more companies are beginning to make efforts to make their products, services, and business models more environmentally friendly. Eco-friendly paper products are a good example. It would have been unheard of for a restaurant chain to use something like a paper straw five or six years ago. Everything was plastic back then. But paper straws are catching on slowly but surely. The same goes for eco-friendly cups, plates, utensils, etc. American corporations are even looking at eco-friendly packaging that goes beyond just substituting wooden pallets for plastic. A few years ago, the Home Depot big-box DIY store faced tremendous pressure from environmental groups over the continued sale of lumber taken from old-growth forests. It took a couple of years, but those environmental groups eventually convinced corporate management to stop selling the lumber. If a large corporation can be convinced that something they are doing is not acceptable to customers, they will stop doing it. Right now, there is no desire to shift to eco-friendly paper products because companies do not perceive that their customers care about their current choices. The minute the public begins demanding a change, that change will come. We are seeing many corporations form working committees to support their “green” initiatives. Most often it’s the millennial employees spearheading these projects. Galaxie Coffee fully supports these efforts and as prices come down due to increased usage, we are lowering our retail pricing as well. Like it or not, businesses of all sizes – be they small companies like Galaxie Coffee or huge, global corporations – exist to make money for their owners. The driving force behind just about everything a corporation does is the bottom line. If eco-friendly paper products could be introduced, manufactured, and used in such a way as to improve the bottom line, you’d better believe corporate America would jump on board. By the way, the desire for healthy bottom line is not a bad thing. It is what keeps all our employers in business; it is what ensures we all have jobs to pay our bills. Appealing to corporate America and its desire for a healthy bottom line is a very legitimate way to convince companies to embrace eco-friendly paper products. The makers of those products just have to find a way to make what they sell more desirable to corporate buyers. Eco-friendly paper products are catching on with American business slowly but surely. In the meantime, our job at Galaxie Coffee is to continue to provide our customers in the greater New York area with the best possible office coffee service. We would be happy to provide service for your company, regardless of size or need. Thus far, 2017 has been a very good year for the coffee industry. America’s favorite hot beverage (and sometimes cold, too) continues to dominate the market thanks to innovative new products emerging alongside our long-time favorites. Interestingly enough, we have noticed that some of the 2017 trends predicted toward the end of last year have not come to fruition. Others certainly have. Below are three coffee industry trends to keep an eye on through the remainder of 2017. All three are showing good promise as ongoing trends of the future rather than merely flashes in the pan. Iced coffee enjoyed a lot of success when it was first introduced. However, there is something a bit unseemly about pouring a hot beverage over ice, thereby diluting its flavor as the ice melts. Enter cold brew. Cold brew coffee has been gaining ground on its iced counterpart since the start of the year. The appeal of cold brew is a medium bodied flavor without the bitterness of hot brewed coffee. And for those who love iced coffee, cold brew is a product that invites them to enjoy their coffee without having the flavor diluted by melting ice. Take your favorite coffee drink and put it on tap and you will create a very interesting beverage that coffee lovers are flocking to try. That’s right, infusing coffee with nitrogen and serving it from a tap is the coffee equivalent of beer on tap. Restaurants and cafés are loving this new drink because they can serve it to customers without as much cream and sugar. 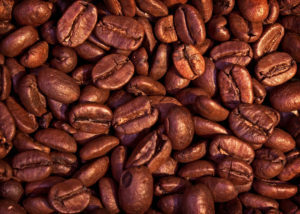 Coffee drinkers are warming up to it because nitrogen-infused coffee has a frothy, foamy head and a texture that is very similar to its alcoholic cousin. The third trend is only half about coffee. The other half is about packaging. We are seeing a trend among makers of ready-to-drink products focusing heavily on new options for packaging that make their products really pop on the internet. What’s behind this trend? The tendency of people to share every aspect of their lives on social media. Ready-to-drink coffee makers want packaging that looks attractive in photos so that when customers take selfies or snap pictures of themselves having a meal with friends, their products look good in those pictures. Creating packaging that looks good on social media is marketing genius. Social media is now the number one way people communicate with friends and family, and the truth remains that a picture is worth 1,000 words. Creating something that looks good when posted to social media can only help boost a brand. Here at Galaxie Coffee, we will be keeping an eye on the trends for the remainder of the year and into 2018. In the meantime, we invite you to consider us for your office coffee service. We carry a full range of hot and cold beverages, breakroom supplies, and janitorial supplies.